Alexandra Bell is returning to Claremont to discuss her recent installation, Counternarratives. 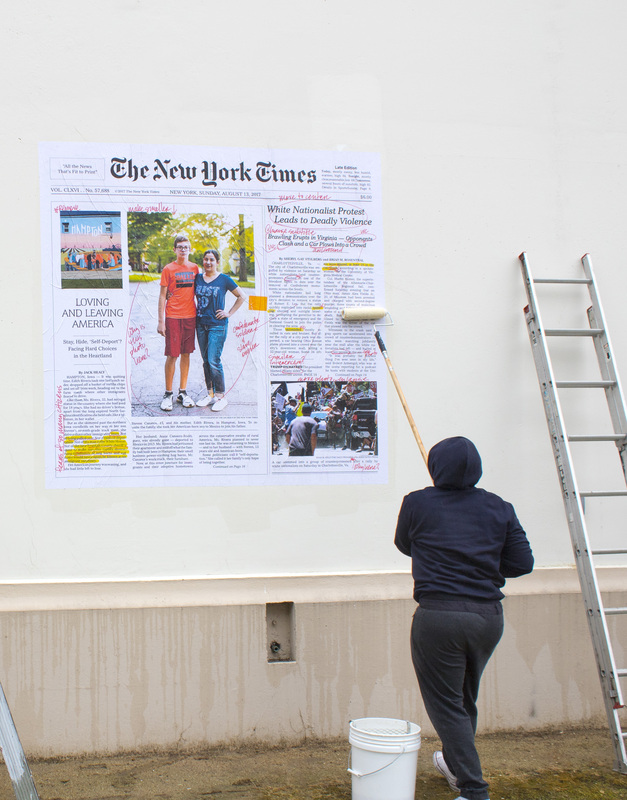 This project examines the bias evident in the language and visual imagery of the New York Times. She reads, redacts and erases loaded texts, revising the articles she investigates with more accurately descriptive, racially neutral language and images. The library is one of three sites for this installation, sponsored by the Pomona College Museum of Art.